You can purchase the complete Kids' Wings 6-page Unit for Sixteen Years in Sixteen Seconds by Paula Yoo NOW for immediate download for only $3.95! Click here to purchase and download. Sammy Lee was 12 years old when he fell in love with diving, but in 1932, Koreans and other "people of color" were not allowed into swimming pools except on Wednesdays. How would he ever become a great diver if he could only practice once a week? His father didn't encourage him because he wanted his son to become a doctor. Would Sammy find a way to fulfill his own dreams while respecting his father's wishes for him? The story of Sammy Lee highlights the sixteen years of hard work and practice that led to his sixteen seconds of glory at the 1948 Olympics. What did he have to do to become the first Asian American to win an Olympic gold medal? Did he become a doctor? How many years lie between today and the sixteen seconds when your dreams come true? Are you using your practice years as well as Sammy Lee used his? 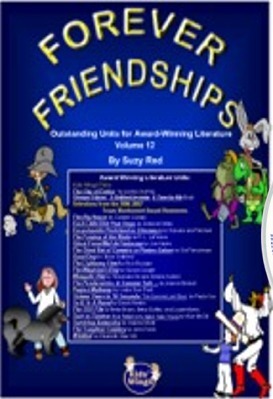 When you order our Forever Friendships Collection, you will receive 21 literature guides including Sixteen Years in Sixteen Seconds: The Sammy Lee Story for less than $.75 each! It's an offer we hope you can't refuse ... while our limited quantities last!